Let's start with a brief explanation of DNS. DNS stands for Domain Name System. It converts human readable domain names like example.com into IP addresses like 208.77.188.166 which computers can then read. DNS zone files reside on your server and tie domain names with IP addresses. Most users do not need to modify their DNS settings. The most common reason for DNS changes are to route a certain part of your domain name to a a third party (not our servers). Shared users can add A records in your cPanel. 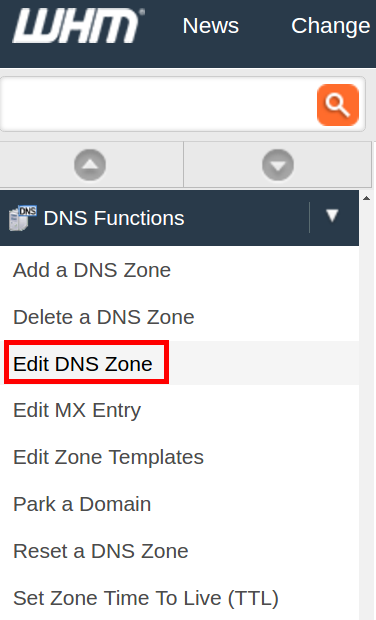 You can create and point subdomains to an IP address using the Simple DNS Zone Editor. You will need to first obtain the IP address from the host where you want to point the subdomain to. 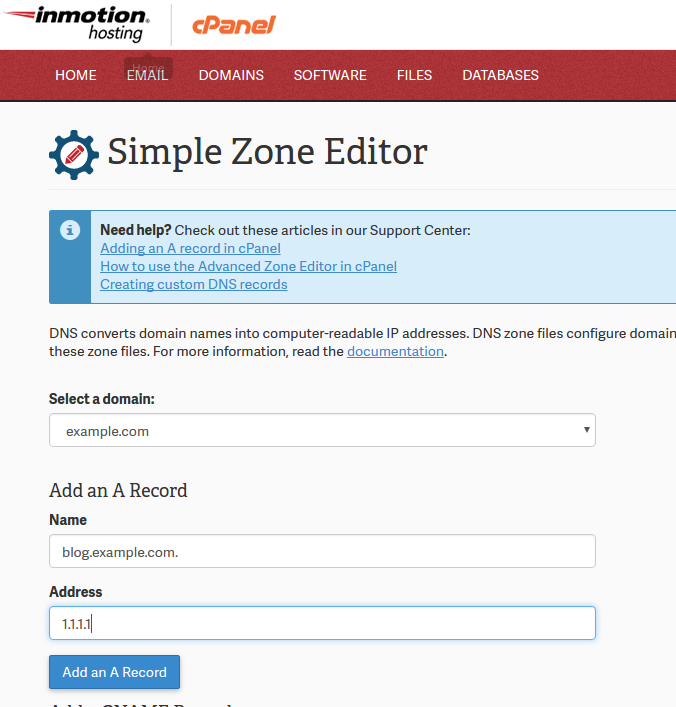 Click the Simple Zone Editor icon located in the Domains area of cPanel. Select your domain from the drop down menu (if you have more than one domain entered in your cPanel). The editor will load new options which allows you to add an A record. Under the Add an A Record header fill in the subdomain and IP address you want to point your subdomain to. Finally, click the Add A Record button and you will now see the subdomain an corresponding IP address listed under User Defined Records at the bottom of the screen. Please note: You will not be able to create or modify an A Record for your domain name or any subdomains that are already created and reserved when your account is setup on the server. You can only create an A record for newly created subdomains. If you try to create an A Record on a reserved subdomain (for example mail, webmail, and cpanel), cPanel will give an error message. In order to edit or remove a reserved subdomain, you will need to use the Advanced DNS Zone Editor. Note, with all DNS changes, including adding or changing A records, please allow up to 24 hours for changes to take effect. VPS and Dedicated plans include a feature in WHM for editing DNS Zones for all cpanel accounts on the server. (looking for a VPS? Find one on sale). This editor provides greater control over DNS records than the Simple and Advanced DNS Zone editor in cPanel. It allows other record types such as SRV, MX, PTR, and NS records These are not as common and thus are not in the cPanel level tools. Note, as above, please allow up to 24 hours for your DNS changes to take effect.